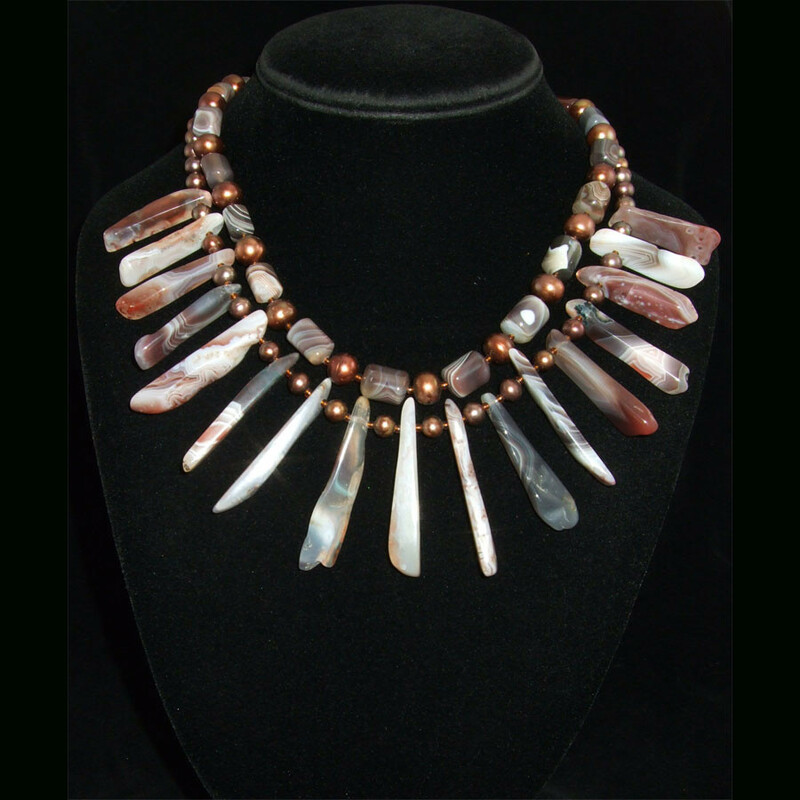 Stunning and so unique, this 2 strand beaded necklace features long spikes of Botswana Agate and gorgeous copper/chocolate Freshwater Pearls! 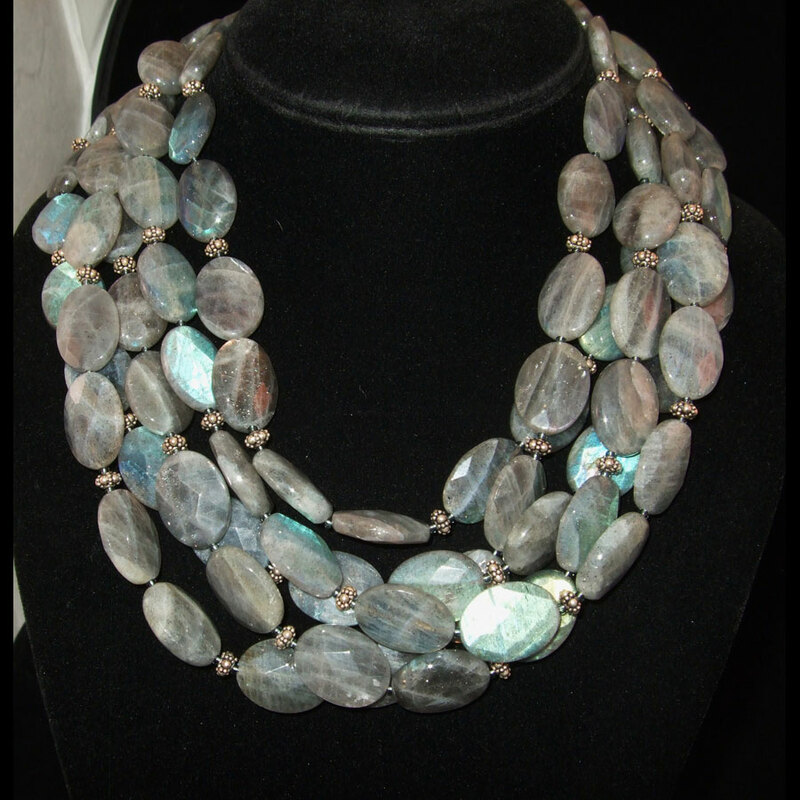 The Agates have swirls of brown, reddish-brown,gray,white and black. They are fabulous! 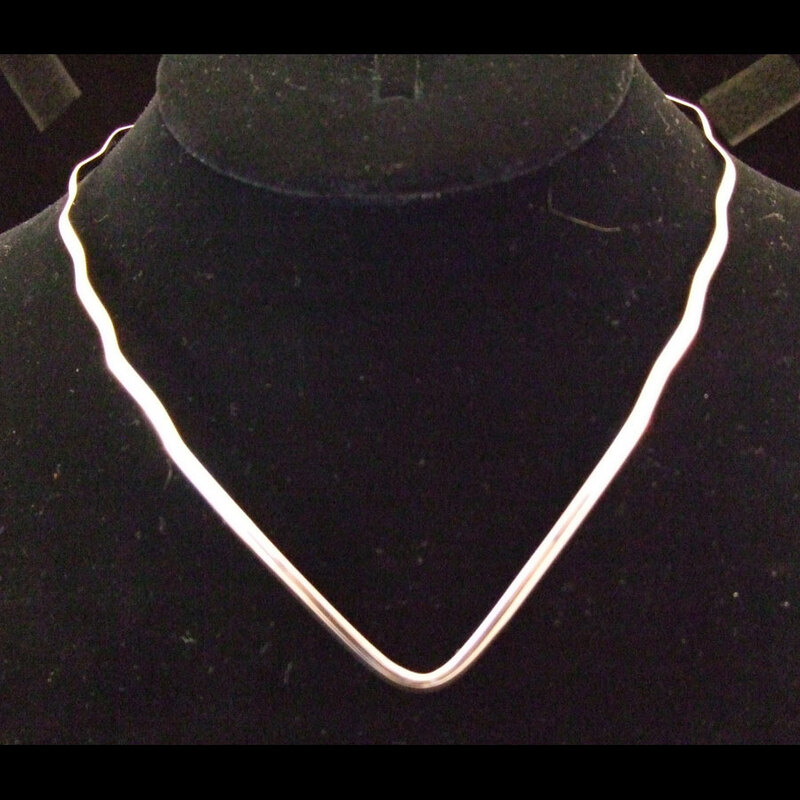 The longest spike is 2″ in the center and they graduate up the sides of the neck. 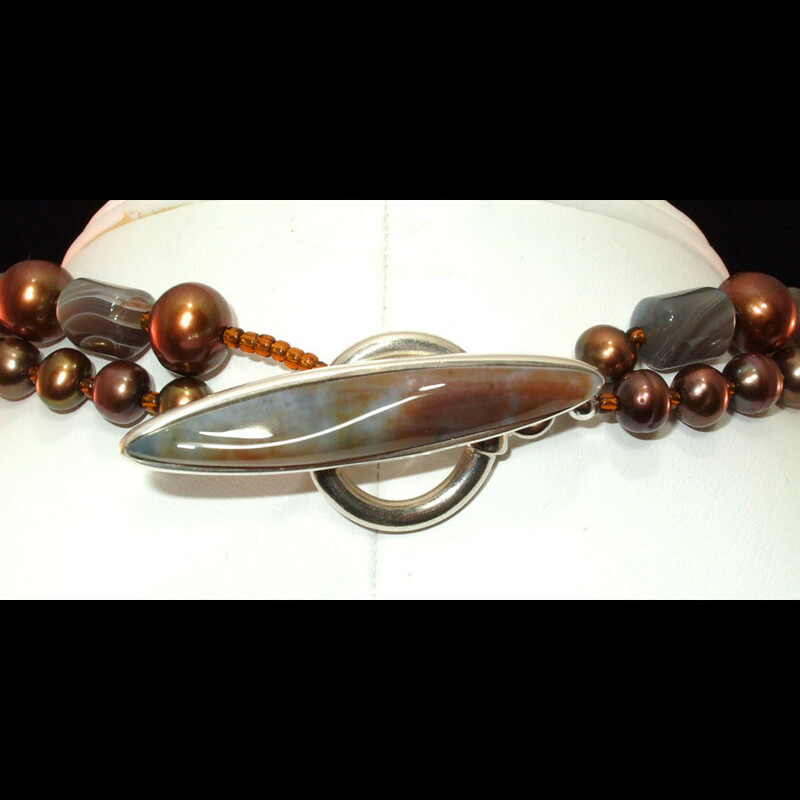 Gorgeous coppery/chocolate pearls separate the Agates. Necklace measures 16-17″ in length, but the drop on the spikes makes it longer. Finishing off this wonderfully unique piece is a toggle clasp inlaid with the same wonderful Agate. Truly gorgeous and a real show stopper. You will garner much attention in this one!